as promised last post, here’s the recap of rampage: total destruction for wii. it always interests me to see remakes of classic games, but this is a dud in almost every way. every review i’ve read is in pretty much complete agreement, and this review at gamezone.com is typical. where to start? 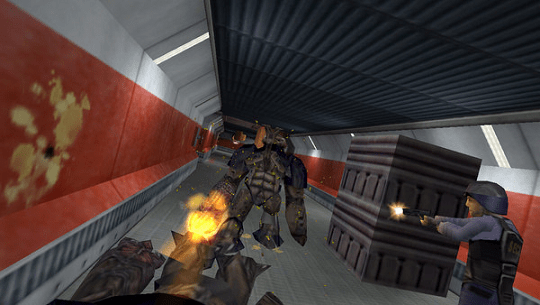 the game is basically a lazy port of a sloppy remake that first appeared on the PS2 and gamecube (although somewhat astoundingly according to the entry on wikipedia: “Despite the less than positive reaction, the game has sold over one million units according to Midway and the GameCube version has earned Player’s Choice status”). the core game tries to update the classic gameplay but just slaps on modern graphics that were passable on the gamecube and PS2 but just look mediocre on wii. more disappointing is that the game does nothing to improve the monotony of the original’s gameplay, aside from making it less intuitive and easy to control and adding completely pointless goals (such as, eat 10 bicyclists, or find the items hidden in the various buildings) and dull “boss” battles. the addition of special moves may have spiced things up a bit, but every monster has the exact same set of three, which makes the monsters themselves feel like little more than palette swaps. added to that are the completely obscure ways the developers have set up the unlockables: for example, every monster has a special move that can only be earned on one stage, meaning that the chances of you finding it without plowing through the entire campaign mode with every monster or using a FAQ is next to nil. the cityscape graphics are the best part of the game and have a good amount of detail and variety, and the sound effects are decent, although the voice clips quickly wear out their welcome and the lack of music is a big drawback. the wii version suffers from shoehorned-in motion controls, and as everyone has noted, although the nunchuk + wiimote mode is barely tolerable (swinging the remote to do special attacks gets old fast), the solo wiimote mode is completely broken. i tried that mode several times, with zero success; it’s impossible for me to imagine that anyone at midway could have actually mastered that control scheme, unless they happen to be employing virtuoso theremin players. all in all this was just another failed attempt at remaking a classic. the only plus to the game is that it includes the original arcade version and its N64/playstation-era sequel, rampage: world tour. that game seems like it would be more worthwhile than either of the other two games, although that’s not saying much, although by the time i got to it i was all rampaged out and have left it for another day (definitely not in the near future). rampage through these rampage: total destruction links! – apparently there was a rampage-themed puzzle game for GBA. whaaa–?? in another case of starting at the very, very beginning, i picked up the original guitar hero for PS2. to be honest i wasn’t even that interested in the game since i actually own and play a real guitar and had already spent a fair amount of time playing later iterations of the game at friends’ places, but i thought i should sit down and spend some more time with one of the games on my own before casting it aside forever. i wasn’t expecting much in the way of surprises, and even after playing through all of the hard mode i didn’t encounter many. my main complaint about the game is very similar to the one that i had about donkey konga (which, incidentally preceded guitar hero by more than a year), namely, that patterns that don’t fall within the beats or that are really fast are just too hard to follow, esp. if you don’t know the song. guitar hero‘s sequel remedies this problem with a practice mode, but in this game the harder-rated songs just get too frustrating to be fun. added to this is the hard-to-follow interface for hammer-ons and pull-offs, which is where you finger more than one note on one strum. apparently this was also changed in the sequel, so i’ll have to wait and see how much they managed to improve that feature. 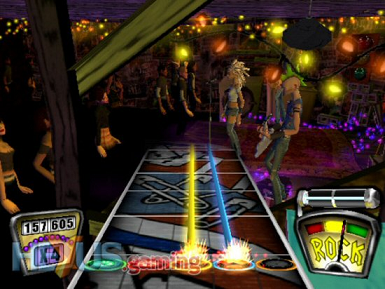 it’s also somewhat annoying that the part you play shifts between instrumental parts in the song, although again in the sequel guitar and bass parts are clearly separated which, although no doubt leading to more repetitive gameplay, makes things more logical and co-op play more, well, cooperative. songs in general also had a tendency to feel overlong due to the requirements of playing the same riffs over and over again, but again this is just another artifact of the premise and not much they could have done about it. i’ve gotten fairly bored with music games in general (rhythm tengoku being a great recent exception), so there wasn’t much about this game that i found very compelling. since i already know what it feels like to play a guitar there wasn’t much to draw me in outside of the tracklist perhaps, and, yeah, you guessed it, i hadn’t previously heard the majority of the tracks. i appreciated the variety, though, and the inclusion of some more-recent indie-ish fare. coming from the perspective of someone who grew up playing instruments and video games (and still do both), i’ve definitely been worried that the game and others like it discourage people from learning instruments, but i’ve found that their design actually would help make people more interested in music for several reasons. there’s the “feel of being a superstar” that people have mentioned to me. also, just the mechanics of pushing the buttons down and strumming give you a decent feel for playing the guitar (likewise for drums/bass) and makes the whole experience less intimidating than it might be for some. the progression from the easy to the harder levels is natural, and for the harder modes for guitar and bass you have to learn how to shift positions up and down and/or extend to reach the orange key, just as you would on a real instrument. so even though you’re not literally playing chords or chord shapes, you’re definitely getting a simplified feel for how you actually would play a guitar (or any other stringed instrument for that matter). and there’s no question that your rhythm also improves from playing the game. there’s also a really interesting depth of understanding about a particular song that you gain by “playing along” with it. it’s like the difference watching a play and acting in it yourself, or between reading a poem and memorizing it. while playing along to the song you really listen differently and hear the separate instruments’ parts while concentrating on your own part, as well as noticing the lyrics more closely than just through casual listening. you also learn to follow the repetitions in the riffs or chord figures and that gives you a better understanding of the song’s structure and song structures in general. so anyway, to wrap up, clearly i’m not the intended audience for this type of game, and i really can’t say that i’m at all excited about playing this game again or any of its numerous sequels. i’ll probably play through the first sequel at least, but maybe if i pick up one of the games that has drums (which i know nothing about) i’ll get more out of the experience. we’ll see. the word “innovative” is among the most attention-grabbing adjectives for a video game to me, and that word often gets used when discussing the PS2 adventure game ico. although it didn’t make much of an impact when it was released in september 2001 (despite great reviews), it has gone on to achieve a significant amount of attention since then from critics, gamers, as well as designers. i came to the game pretty much completely fresh, and the first thing one notices (aside from the great visuals) is the fact the game has minimized all of the usual trappings such as a prologue, tutorial, dialogue, NPCs, story, and even background music and the character’s status and inventory. the title character and the girl, yorda, he soon meets and who accompanies him for the rest of the game have no life bar, and ico only uses three different sword-like weapons throughout the game. the game only ends when ico falls from a great height or if he fails to rescue his companion from being abducted by the small variety of shadowy creatures that serve as the game’s only enemies. given the lack of flashy game elements, the game gets boiled down to such a degree that almost all the focus is on the “puzzles” and the “action”. much of the game’s attention seems to come from this stripping away to the barest essentials, and although i definitely appreciate that school of design it certainly wasn’t enough to bowl me over. the game certainly has a unique feel, but i was initially disappointed that the game’s core mechanics felt very much like prince of persia: the sands of time, which i played a couple of years ago. that game had followed ico by a couple of years, so some of its uniqueness may have originated with this game (although much of it can probably be traced further back to the original prince of persia games); but as with sands of times i got a bit bored by the fact that in ico the “puzzles” don’t really require much thought and oftentimes they reveal themselves pretty straightforwardly once you survey the area and take note of where the levers, crates, ledges, and ropes are for you to push, pull, and climb up on. likewise after the first few fights the rest are pretty much equally forgettable. once i realized my attention wasn’t going to be focused much on the gameplay, i ended up noticing and then admiring the world of the game instead. the character design is fantastic: the boyish gawkiness of the main character is reflected in all of his movements and makes a great contrast to the quiet presence of his ethereal companion. 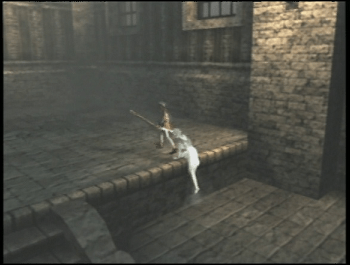 the game’s central gameplay mechanic, having ico grab yorda’s hand to lead her to safety, is simple but so pervasive that it becomes more and more poignant through repetition and the passing of time and the further they travel in their attempts to escape the castle that imprisons them. the castle itself also feels like a real place and provides a memorable backdrop. all of this was still not convincing me that this was a good game, let alone a great one, however. it wasn’t until the last third of the game that i suddenly began to truly enjoy the game. part of it may have just been the accumulated appreciation of all of the game’s tiny details that made the whole experience more than the sum of its parts. but part of it is that despite the game’s minimal amounts of character and story there are some beautifully memorable moments later in the game (most of which unfold through cutscenes) and a fantastic ending. – the PAL release had several extra features including this special ending. this FAQ at gamefaqs mentions and alludes to some of the other changes. it also includes all of the game script. – gamespite.net recently included this game in their top games of all-time review. their article is pretty typical of the kind of lavish praise the game gets, although i’m still not quite convinced. time may tell. i’ve had a PS2 for a while, but nintendo fanboy that i am i really haven’t been motivated to spend much time playing it; it just doesn’t have many games that i’m interested in playing. the first one that i ended up spending a significant amount of time on was actually the PSP port of lumines, called lumines plus. i’m even less interested in the PSP’s library of games, but the original lumines got such glowing reviews that it piqued my interest, despite my lackluster response to the same company Q entertainment’s second puzzle game, meteos for DS. There really isn’t any variety to Lumines’ gameplay. Every level is the same, just with different songs and rhythms (while these make the difficultly variable, it makes the game feel repetitive. There are very few ways to unlock new skins, and once you play until you lose it’s hard to beat your high score and open the higher skins. If you are a completion gamer like my self, you will find it hard to sit down for over an hour with your PSP just to unlock 1 or 2 skins. Also the Multiplayer experience, while innovative, is absolutely retarded. By dividing the same play screen in two and letting the players fight over who has control over the majority of the level, it effectively cripples the losing player causing them to crash and burn way too quickly. 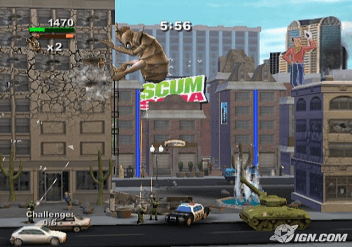 – reviews of the PS2 version at 1up and IGN. for comparison, IGN’s review of the original PSP version can be found here. – lumines plus doesn’t include any tutorial on puzzle mode, so if you’re like me you may be at a loss as to how they work. there are a ton of videos of that mode on youtube, and here’s one from the XBLA version of the game. – the page at strategywiki.org has a listing of all the skins. not sure it’s completely accurate, though, b/c parts of it are inconsistent compared to this list of unlockables at gamefaqs.com. 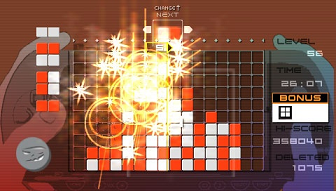 – review of the newest iteration, lumines supernova, for PS3 on IGN. doesn’t look like much has changed, though.